Olympique Lyonnais or simply Lyon are still trying to hold French forward Alexandre Lacazette in Parc Olympique Lyonnais and they do not want to replace him. This situation came when English giant Arsenal offered them to release this striker to Emirates Stadium and obviously they were reportedly ready to give a buyout clause for this French star of £29.3 million. But the Kids rejected that offer. They do not want him to leave the club while they have contract with him which will valid till 2019. The owner of the Kids told that it would be a very big mistake to sell him out and that is not gonna happen. He is still irreplaceable. Ahead is a big season awaiting for the Lyon and they will have to use this French forward properly. And also they can not even think him leaving. So, he will be at the Parc Olympique Lyonnais. 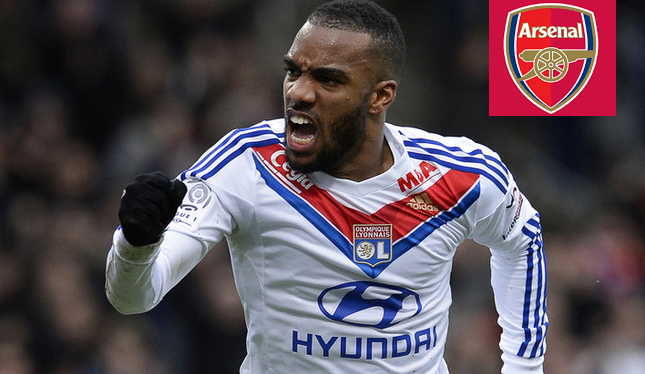 But later, another rumour spread that Lyon have claimed £40 million for Lacazette. If Arsenal will meet their demand, then they would probably leave their regular star. But this French side has directly denied that report about claiming more from the English side. Not only the Gunners but also Lyon turned down the offer from West Ham United last month where they tabled £32 million bid for this 25 year old French star. After failing to get Leicester City striker Jamie Vardy to land, Wenger has finally move to this number 10 Lyon player who made 23 goals in last Ligue 1 season by playing 31 appearances. Though, about this transfer, the Gunners boss Wenger has tried to keep this secret but Lyon revealed it. He stated that The French side will be the responsible for this and the best way about transfer, to keep this matter secret before deal will get final. Earlier on this summer, Wenger was ready to spend total £75 million for both Riyad Mahrez and Lacazette but Lyon wants to keep their player on their side but Wenger is not ready to give up yet and he would perhaps offer more. On the other hand, the kids are thinking that this striker will must net more goals than Cavani in upcoming season and so, they will not leave him while they have right to keep him. Alexandre does not disclose anything about his staying or leaving. So, within very short time, the secret matter will be revealed. Lacazette has played for French national team since 2013 and already made 10 appearances with 1 international goal against Denmark in 2015.